SNAFU! : NYPD Identifies 27-Year-Old Akayed Ullah, from Bangladesh as attempted NYC Subway Bomber. 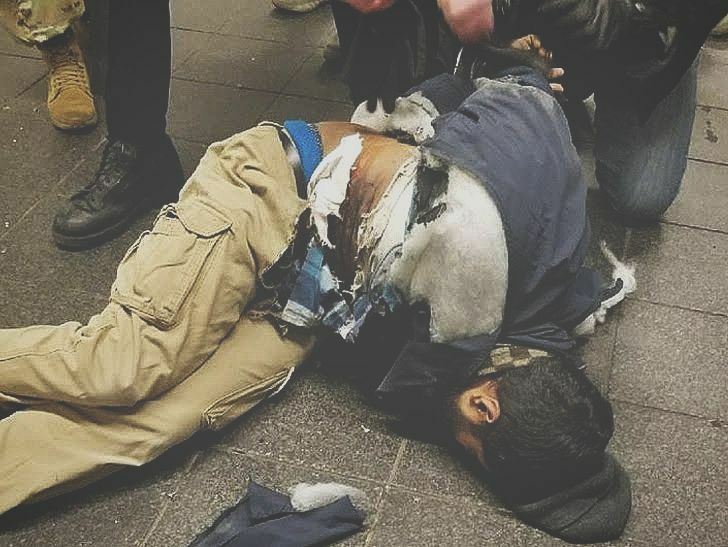 NYPD Identifies 27-Year-Old Akayed Ullah, from Bangladesh as attempted NYC Subway Bomber. The explosive device apparently went off prematurely and Ullah was rushed to Bellevue Hospital with non-life-threatening injuries. He suffered burns to his hands and other lacerations, reported CBS News in New York. Interesting isn't it. Wonder why this guy from Bangladesh would want to harm a country that welcomed him with open arms? Could it be that we live in a dangerous world and that it's incredibly naive not to take steps to protect yourself from danger...both on a personal and national level? Isn't that the most basic, most important function of govt?